Our company provides the best reliable fabric car seat cleaner service especially in Kuala Lumpur and Selangor, Malaysia. Every driver and passenger want tidy and clean car. It bring comfort and creates a conducive environment to enjoy the ride to the destination. Hence, auto care is important to ensure regular car cleaning and maintenance is necessary especially for person who often drive with pets and children in your vehicle which will make it dirty. 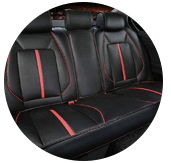 The fabric seats collect dirt either from the surrounding environment in which the car is been driven or even from the dusty passengers who may board the vehicle which will require us to vacuum and brush to remove the dirt, debris and dust using the appropriate cleaning spray products. 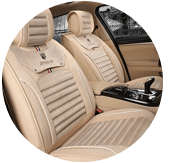 Consequently, the need for the car interior cleaning companies that offer main car interior parts cleaning services arises here as there are customers looking for this service. Someone may opt to do the cleaning of which this should highly be discouraged not unless in light cleaning cases. 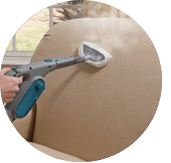 However, in case you want to perform a light cleaning on your stained seats or remove unwanted smell, you can easily diy on your own. Use baking soda solution, water or mix some eco products which can find and buy from store. Spray or wipe with towel on the stained surface, let it sit for a few minutes and then scrub, it is a lot easier! When you want to do the wiping, you can use a damp sponge or cloth, add water and swipe it over the seat covers and leave it before wiping it off. 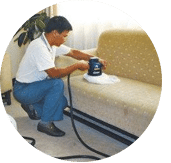 So, when in need of a upholster or thorough cleaning of your fabric seats or car carpets to keep and ensure your cars look new and clean, you should always hire our company for this purpose. Why Should You Engage Our Top and Easy Fabric Car Seat Cleaning Service? 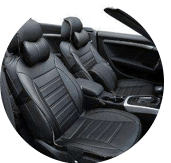 Our skilled and experienced cleaners have been performing fabric car seat interior cleaning and care service work for many years and for various types of auto vehicles. 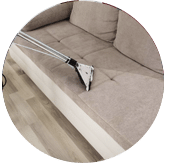 When called upon to offer the cleaning service, we are time conscious and always arrives on schedule to start the process as we promised. 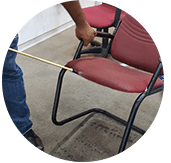 In case your seats are stained (from pet urine, blood, ink, or etc), we will assist you to remove these stubborn stains. The cleaning is conducted as your car seats are intact because there is no need of removing them. After the cleaning service, your fabric car seats will be dry within 2-3 hours, unlike other cleaners services that can take days to dry. Our reasonable prices are customer friendly which perfectly fits your budget. We offer mobile fabric car seat cleaning services and we can work at any place at any time when called upon. Our working time is flexible including on public holidays and weekends. Our work charges are transparent and fixed and there are no any hidden or extra charges. Our pro and friendly staff are always ready to help you with a smile and a listening ear. Our cleaning product, tools and solutions are well prepared and mixed for we value the cleanliness of your car seats. Finally, if you are located in Kuala Lumpur and Selangor, Malaysia, it is great. You can always contact us right now for solution. Do ask for our special price for additional cars cleaning. The fabric car seat cleaning exercise and step by step cleaning should be left to our experts as we will know what to do, what to use and where to clean properly. No need spend time to search and find for a solution. See the difference our services makes and we make sure your car interior smelling fresh again. 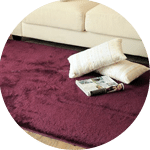 Please contact us now for more details, get a new quote, best deals, read our past customer reviews, get cleaning hot tips and engage our services today! Our customer service team will reply to your request within a few working hours to find out more and discuss further about the fabric car seat cleaner service that you require. Subsequently, we will issue you a quotation and an invoice for the fabric car seat cleaner service. 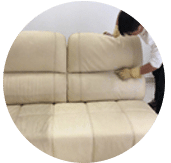 Our fabric car seat cleaner service is available in Peninsula Malaysia from Kuala Lumpur, Selangor, Ipoh, Johor, Malacca and Penang. Speak to our team to enquire more about the fabric car seat cleaner service that we provide in your area. I have a special request for the fabric car seat cleaning service, can this be done? 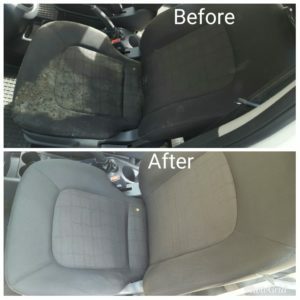 We understand that sometimes our customer have special requests for fabric car seat cleaner service with regards to timing and other matters such as stain removal. In this scenario, you can contact our customer representative team at 017-232-6491 to discuss your fabric car seat cleaner service request.